Home Blog Product Information Are You Sitting Comfortably? We are all aware of the negative messages about how long we spend sitting down during our working day. We can go back and forth to the coffee machine only so many times! But even with that dedicated effort, static working is seriously affecting the nation's health. Employers have a duty of care to ensure their staff are seated comfortably and with adequate support, but how many of you are sitting on a chair that has a broken lever, or a cushion so flat it feels like sitting on a paving slab? In a typical week, workers can spend on average 5 hours and 41 minutes seated, and an old and poorly designed task chair can sap energy and cause long term issues with back pain, resulting in lost work hours for employers. The height and back rest are fully adjustable to meet the needs of the individual, providing lumbar support and good leg position and wrist and arm support level with the worksurface. Armrests take the weight of your arms reducing strain and allowing a more supported back posture. The addition of a head rest can further improve posture by supporting the neck in a natural position. A wide range of colour choices, because we all know a splash of colour helps to improve our mood! An investment in good quality task seating is an investment in workforce well-being. At Lee and Plumpton we have a range of seating options to suit a variety of budgets. Getting technical for a moment, our new Drayton task chair includes a seat slide, adjustable lumbar support, three-position lock synchro mechanism, height, depth and width adjustable arms, a foam moulded seat and gas lift height adjustment! And if that were not enough to ensure your ultimate comfort, there is also an optional height adjustable headrest. 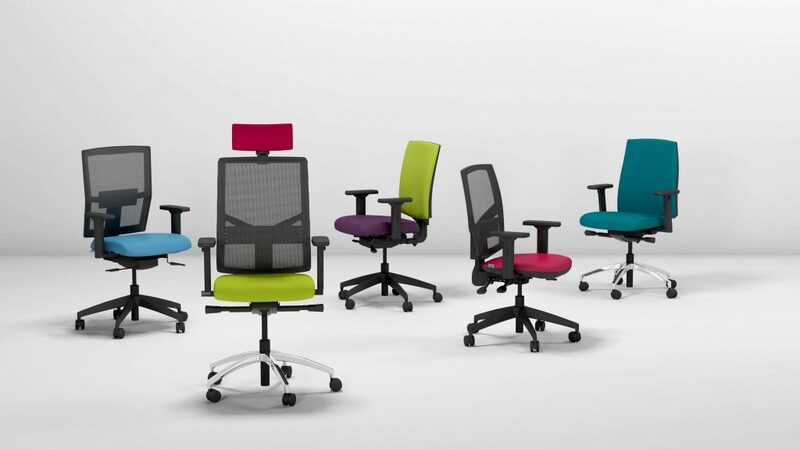 With a stylish mesh back the Drayton task chair provides quality and comfort and we are delighted to add it to our range. Drayton is available in any colour, so long as it is black, so if you want a rainbow of colour our ever popular Ranworth, Moulton and Salhouse task chairs are available in a multitude of fabrics and colours. Are you sitting comfortably? If not, then we have the right chair for your needs.